Vintage photos provide insight into where we’ve come from—as societies, certainly, but also the technologies we’ve evolved for communication. Cigarette marketing aimed at consumers by using doctors and slim housewives; some ads even promoted cigarettes to help throat irritation. Of course, now we can look and laugh at the absurdity of it all, although not entirely, considering that 480,000 Americans die every year from cigarette-related diseases. It takes us a while to reckon with reality. I think that fake news, melodramatic headlines, exaggeration has all become the perfect drug that’s delivered over the internet. Imagine the horror of a drug dealer who had an app and it knew precisely when someone who was in rehab was close to a relapse, was lying on their bathroom floor struggling at three in the morning, and could appear right away and say ‘Hey, click here you’ll feel better.’ That’s what fake news has become for us. Instead of reaping the big rewards that come from sustained, focused effort, we instead reap empty rewards from completing a thousand little sugarcoated tasks. In the modern news cycle, quick headlines beat out the arduous task of reading a few hundred words; we consume information like we eat sugary bags of foodstuffs, not stopping to think about what we’re putting inside of us. Distraction plus false information equals disaster for individual health and the health of our society. New solutions are needed. 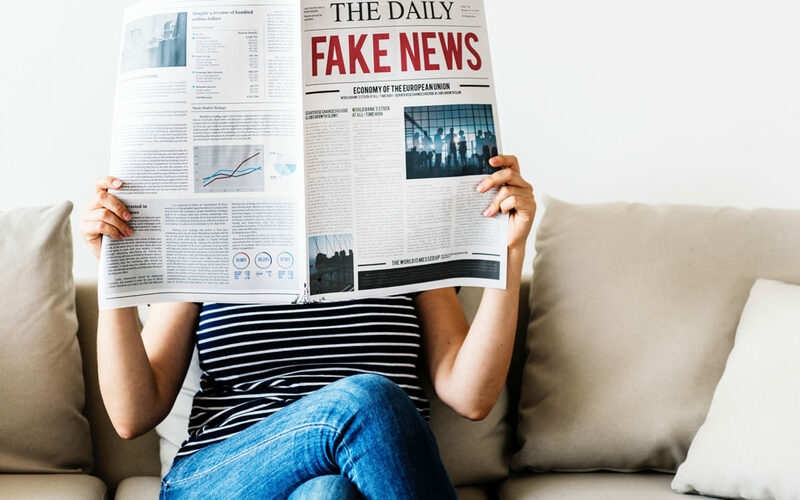 Two of our portfolio companies are currently fighting the dangers of fake news. Tech addiction is another level, but at least we can tackle this issue by issue. Proof is currently seeking testers for their alpha launch while Inkrypt was recently featured in Forbes for their efforts at combating false information. RChain was founded in part to help bring new social coordination technologies to the market. In order to coordinate successfully, we need to be honest with one another so we at least know we’re sharing the same playing field. This sort of information is not coming from the top down, so the first step is investing in truth ourselves.